Ladies and gentlemen, friends and colleagues. It is a great honour to be invited to provide a statement for today’s destruction of confiscated and other wildlife parts, which is timed to coincide with the International Day for Biodiversity, and I deeply regret that I cannot join you in person. There could be no better location for today’s event than the Chitwan National Park, Nepal’s first national park established back in 1973, being the very same year that CITES was adopted in Washington D.C.
Chitwan National Park is famous for its extraordinary wildlife - including its Bengal tigers, greater one-horned rhinos, and high concentration of birds. It outstanding natural beauty was internationally recognised in 1984 when it was added to the UNESCO World Heritage List. 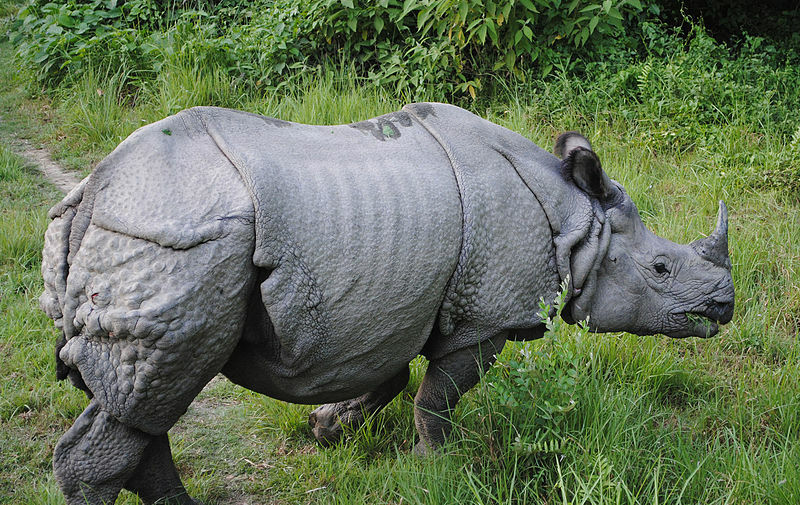 Nepal and its Chitwan National Park now also enjoys worldwide praise for what has been achieved in successfully combating poaching and the illegal trade of wildlife. 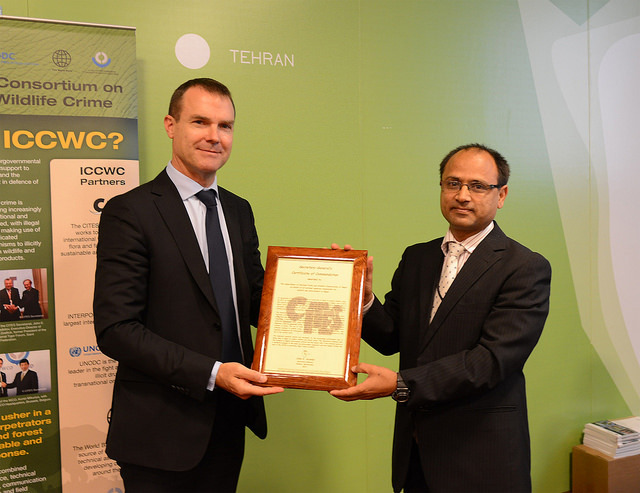 Nepal’s achievements were recognised by CITES through a Secretary-General’s Certificate of Commendation in 2014, which was received by the Department of National Parks and Wildlife Conservation in Geneva on behalf of all national agencies involved in wildlife law enforcement. The Award acknowledged the many innovative measures implemented by Nepal to combat wildlife crime, including strong interagency collaboration, the deployment of combined patrols of rangers and the Nepalese army in protected areas supported by community-based anti-poaching units outside of parks, and intelligence-led enforcement actions leading to the arrest of key players in criminal groups. The successes achieved in Nepal to combat poaching and illegal wildlife trade are particularly notable in the face of increased poaching elsewhere. This year Nepal was on course for its third year in a row of no rhino poaching, which was only broken last month, with poachers killing one animal for its horn. That is an enviable record. What has been achieved in Nepal is quite extraordinary and it serves as an inspiration to all of us of what is possible through strong leadership, taking a collaborative approach across agencies and local communities, and persistence. Today, in the presence of the Honourable Ministers, representatives of local communities and international organisations, as well as the world’s media, Nepal is destroying stockpiles of wildlife parts of tigers, rhinos, leopards, pangolins, various reptiles and many other species that have been confiscated or otherwise acquired. Today’s event will not end wildlife crime but it does help to raise public awareness of the serious threats posed to wild animals and plants, people and economies by such crimes and it provides an ideal opportunity to make a very public expression of Nepal’s steadfast determination not to tolerate any poaching or illegal trade of its wildlife. We know that Nepal ‘walks the talk’. Its proud record speaks for itself. And the strong measures being taken in Nepal not only benefits its extraordinary wildlife. They are ensuring personal security, providing local jobs and community development, and supporting well-managed wildlife based tourism, and along with it the national economy. We commend Nepal for fulfilling CITES requirements and national laws in preparing for today’s event, while noting that the decision to destroy these confiscated and other wildlife parts was one for Nepal. I am advised that authorities have taken care only to destroy confiscated materials following a final court verdict, none of which are subject to ongoing investigations, with some materials being used to exhibit in museums, for research and for other educational purposes. Nepal is also finalising its new legislation to fully meet all of CITES requirements, which we warmly welcome. The theme for the International Day for Biodiversity is Biodiversity and Sustainable Tourism, with 2017 being the International Year of Sustainable Tourism for Development. The Chitwan National Park is a great example of wildlife-based tourism generating local jobs, with government and operators engaging with and supporting local communities. The active involvement of local people and communities is critical to sustaining wildlife-based tourism, which I highlighted at the World Travel and Tourism Council Global Summit in Bangkok just last month. During my keynote address, I called on the travel and tourism sectors to join the fight against illegal wildlife trade, citing the Chitwan National Park as an example for others to follow. We also wish to take this opportunity to recognise Nepal for its support for the South Asia Wildlife Enforcement Network, with its Secretariat being based in Kathmandu, and for INTERPOL’s Operation PAWS II, as well as for pursuing and helping catch wildlife criminals across international borders. Honourable Minister, I thank you again for giving me the opportunity to provide a statement for today’s important event and more particularly for your strong ongoing support for CITES and the fight against illegal wildlife trade.